Golden glowing fairer skin is a desire of every woman who preaches beauty and is concerned about her looks. Who in this universe would not want to look as beautiful as a princess? Healthy skin reflects a healthy heart and a lovely soul that needs to be happy and serene inside. Apart from inner radiance, it is very important to take good care of your skin by not only protecting it from harmful sun rays or dust but also nourishing it by using different ingredients, fruits or vegetables that are easily available at home. 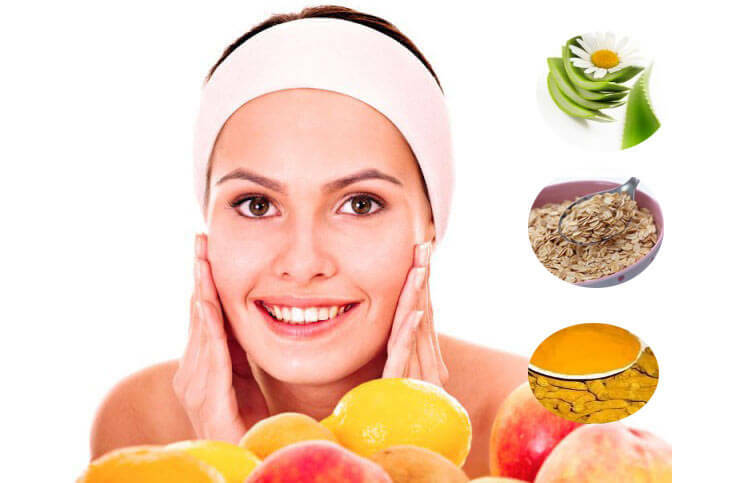 You are just a few words away from discovering some of the very useful and easiest fair skin home remedies to cure your skin issues and offer you a magically stunning skin. Lemon has citric acid which acts by removing dead cells, and masks pigmented dark spots by improving the cell renewal process. Lemon is a boon to people with dark complexion as its bleaching properties brightens the color, thereby giving you a pearl white skin. You can either apply only fresh-squeezed lemon juice to your entire face and neck for atleast 10 minutes and then wash it off with lukewarm water or mix 1-2 tablespoons of raw honey in it to be used on face for 15 to 20 minutes. Another alternative is to apply a mixture of 2 teaspoons each of lemon juice and sugar scrub in a circular motion for only 10 minutes and then rinse it off with lukewarm water. Weekly application is sufficient. Honey is one of the best moisturizer with its additional antibacterial features to provide a clearer and germ free skin. Let raw honey dry directly on your skin for few minutes followed by rinsing. The water content of honey deeply moisturize the skin, making it feathery soft. Try doing this once daily for instant glow. You can also stir two teaspoons of milk, one teaspoon of honey and gram flour to apply mask on your face for about 20 minutes and should be continued once a week. Another incredible combo that makes your skin looks flawless. Mix cucumber juice, rose water and glycerine to be painted on your face for 15 minutes and then wipe it off. It shields your skin and protects it from damage by UV radiations. Turmeric is medically proven to have distinct antiseptic and skin-lightening properties that not only fight allergies or infectious maladies but also vanishes off the scars and other marks to give a blemish free skin eventually. Blend of one tablespoon turmeric powder and pineapple juice when applied to face and neck rejuvenates the cells. If done for two or three times a week, it diminishes the dark spots. This green garden plant has antibacterial, anti-inflammatory and astringent properties that prevent acne formation, tones irritated skin, fades away the scars and moisturizes the skin. Extract the gel from an aloe vera leaf and simply rub it on skin with cotton and let it dry. Rinse it off with lukewarm water. Perform this 4-5 times a week. Cucumbers, rich in water forms part of our salad act as hydrating, nourishing and astringent agent tends to repair affected skin cells and renew the fresh shining skin. Cut a fresh cucumber into slices, and gently rub thoroughly over your face before going to bed daily. Leave it overnight and wash it in the morning. Baking soda acts as buffer for skin to and fights major problems like acne and unwanted patches. Moreover, its exfoliating capacity keeps the skin free from impurities and dead cells. Add one teaspoon raw honey to same quantity of baking soda and apply this on moist skin to massage softly for one minute only. Clean it with lukewarm water followed by cold water rinse to minimize the pore size. Do this weekly. Apply a paste of yogurt, apricots and honey to dry and lifeless skin and see the wonder. Your skin becomes taunt, buttery soft and sparkling. Apply it on consistent basis to see the better results. Oats acts as scrubbing media to smoothen your rough road like skin. Pour a little warm water on ½ cup of oats and leave it for 5 minutes. Apply this thick paste on your face and massage delicately in a circular motion with your fingers for 15 minutes. This removes blackheads around nose. Then, wash off with cold water to get a lustrous and uniform skin. If you have to pace up with pollution without allowing it to deteriorate your appearance , it’s imperative to be a little more concerned about skin in order to flaunt an ever glowing dazzling personality without spending much pennies carelessly in salons. All remedies are just near your door. Use them and enjoy the phenomenal change while sitting at your own place.